Greetings from i Creative Ideas! Concrete, cement, and cinder blocks are large rectangular bricks commonly used in constructions. 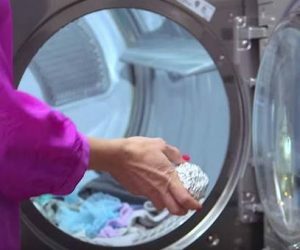 They are also inexpensive and reliable materials for many home and garden DIY projects. 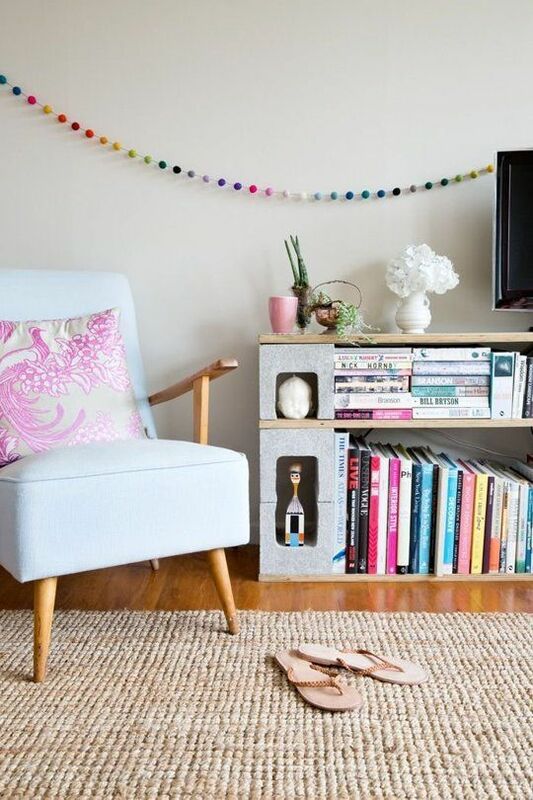 With some creativity and time, you can repurpose these smart blocks into practical furniture or decorative pieces at home or in your garden. 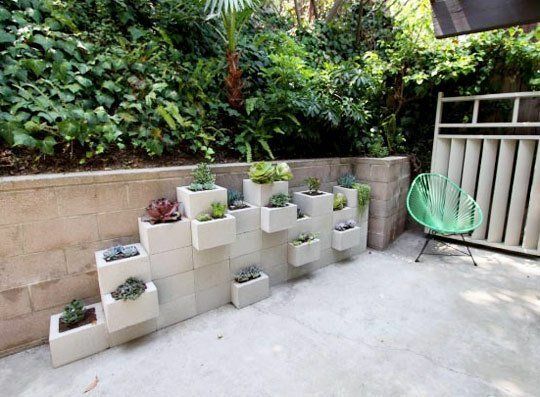 Here at i Creative Ideas, we have come up with a rounded up more than 20 creative uses of concrete blocks or cinder blocks in our home and garden. Some of them are actual DIY projects and come with full tutorials. Others are just ideas for you. From indoor furniture, outdoor furniture to garden planters, we hope they will be inspirational to you and get you started on your next concrete block project. Let’s check out all these creative ideas! 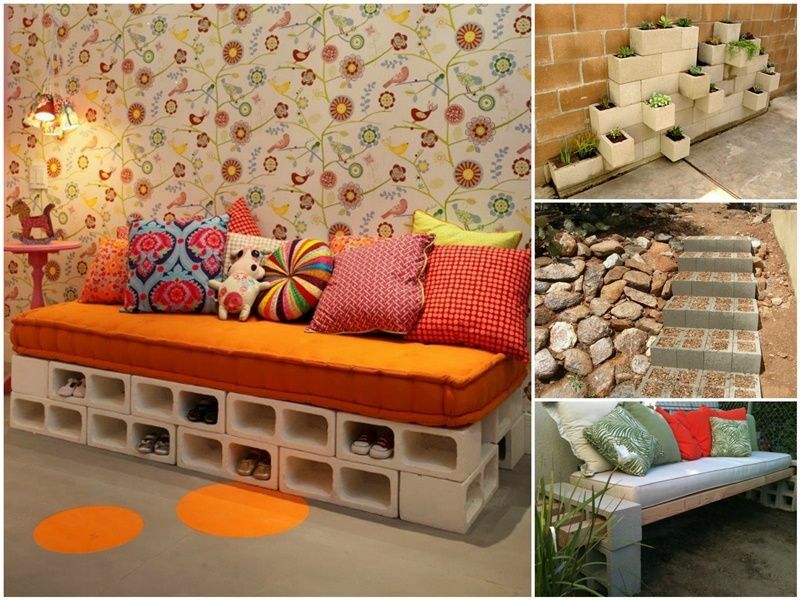 20 Responses to "20+ Creative Uses of Concrete Blocks in Your Home and Garden"
Muchas gracias. Por favor, comparte este artículo con tus amigos! Hi , I love those ideas. It’s very good. I am so sorry to hear that. Wish you all the best and thank you for your interest in this post! All of these ideas look fun and all, but this article is misleading because everyone knows that the ground shifts in areas with frost. That garden, the benches, the planters… almost everything on this list will shift and look like absolute hell after one season. Even the bed is going to rock all over the place and possibly damage the flooring the second the “games” begin. Without informing people of the proper procedures for installing a proper gravel/sand base beneath the blocks, you’re setting them up for a potentially expensive mistake at the most, and a really crappy looking backyard at the least. I promise I wasn’t trying to rain on your parade, because the ideas ARE really cool and do look great. I just know what happens when amateurs attempt something without proper knowledge. Thanks for keeping it real for amateurs you are absolutely correct in your words. Concrete holds weight and danger. My first thought was children climbing on them also a danger sign. Planters scream climb up me or is that just my fun side? 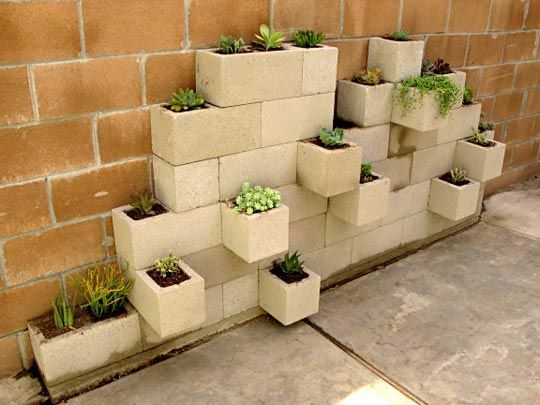 I thought cinder blocks where discouraged due to the fact that they leach chemicals into your growing food in gardens? Thoughts? I was thinking of doing one this year but am afraid of the outcome. What chemicals would be released by concrete? Cinder blocks Concrete blocks are made from concrete, no chemicals are used in the manufacturing of these type of blocks that I know of but I guess it depends where you live and who buy them from. I too have read about this danger. Using wood for vegetable beds would be better. The right choice of natural wood, unstained and untreated could look really nice with the other concrete outdoor ideas. 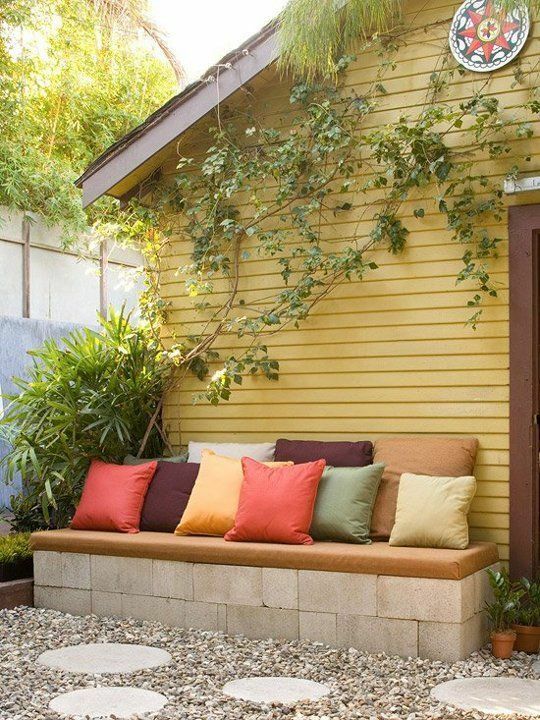 The outdoor ideas look fantastic and make me wish I had a larger outdoor space! The indoor ideas are only practical if you plan never to allow any children near them. Or anyone with any medical condition which might affect their balance. 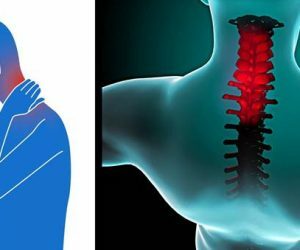 A trip or fall near those blocks could lead to a nasty injury. What chemicals? 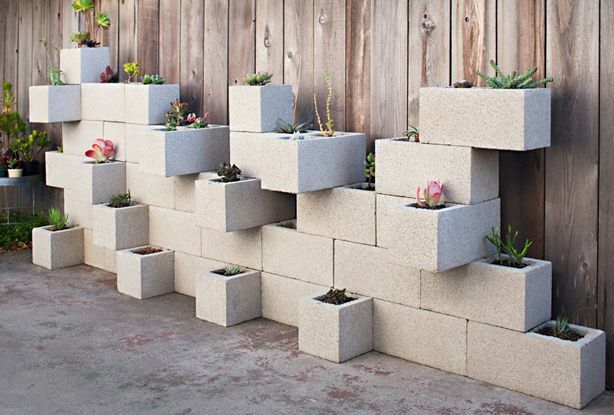 Find out how cement blocks are made before making such a statement. Homes and walls and pathways and even roads would not be built if cement was so harzardous to our health. 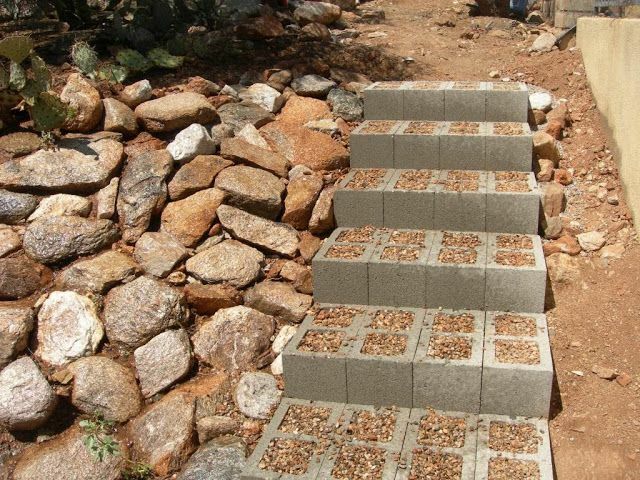 I love the flower bed idea and really want to make this, but for the blocks that are extending, how do you keep the soil from falling out of the bottom of block since the hole goes all the way though?